Press Release from the Saginaw River Marine Historical Society, P.O. Box 2051, Bay City, MI 48706-2051. For more information please call Don Comtois at 989-686-1895 or Don Morin at (home) 989-686-3663 or (cell) 989-545-9425. Historical Society offering three days of lighthouse tours, lighthouse keeper reenactor, oldest known boat built by Defoe Shipbuilding Company, paintings depicting the history of Wheeler Ship Building Company, model lighthouses for kids and more. 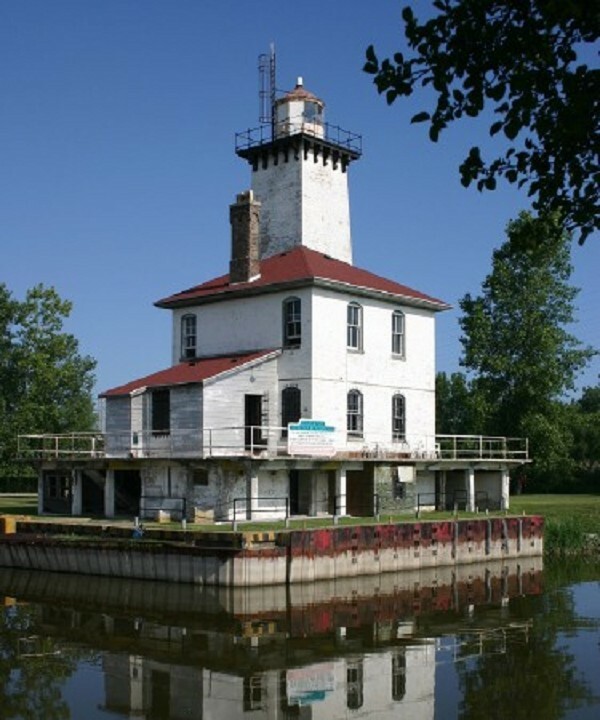 During "Tall Ship Celebration: Bay City" (which runs from July 15-17, 2016), the Saginaw River Marine Historical Society (SRMHS) of Bay City, MI, will be offering three days of public tours of the Saginaw River Rear Range Lighthouse. This will be only the fourth time the lighthouse has ever been open to the public, for the first time during "Tall Ship Celebration: Bay City" in 2006, the second time during "Tall Ship Celebration: Bay City" in 2010, and the third time in "Tall Ship Celebration: Bay City" in 2013. The hours the buses will run and tours at Saginaw River Rear Range Lighthouse will be given are from 10:00 am to 5:00 pm on Friday, July 15, 2016, Saturday, July 16, 2016, and Sunday, July 17, 2016. All transportation to and from the lighthouse will be handled by 2 Mitchell Motorcoach buses. The buses are air conditioned and have a restroom. Both buses will have a tour guide, and over the PA system, he / she will give history of the lighthouse and some of the sights along the way. The bus stop (for pick up and drop off of passengers) will be at Veterans Memorial Park near the intersection of John F. Kennedy Dr. and the entrance to Liberty Harbor Marina, on Bay City's Westside. The cost is $7.00 for adults, $3.00 for children, and free for children not yet attending kindergarten and younger. The cost is for the roundtrip bus ride and there is no charge for tours of the lighthouse. During the bus ride, for no additional cost, you will have an opportunity to get a coupon for a $2 discount for admission to the "Antique Toy and Firehouse Museum" and a $2 discount for admission to the "Saginaw Valley Naval Ship Museum, home of the USS Edson DD-946." The $2 discounts expire on October 1, 2016. At the Saginaw River Rear Range Lighthouse, volunteers of the Saginaw River Marine Historical Society will be giving tours and answering questions about the lighthouse, as well as stamping and selling Lighthouse Passports of the Passport Program of the United States Lighthouse Society. Cold bottled water will be available for $1.00 a bottle. Portable toilets will be available on the lighthouse grounds. Carl Jahn, a 64-year-old truck driver from Smiths Creek, Michigan, was the lighthouse's keeper at the tours of the lighthouse during "Tall Ship Celebration: Bay City" in 2010 and "Tall Ship Celebration: Bay City" in 2013, and he will be making his third trip to the Bay City area to be the lighthouse's keeper for tours for all 3 days during this year's "Tall Ship Celebration: Bay City." For the past 13 years, Jahn has been a lighthouse keeper reenactor. The lighthouse keeper uniform he wears is about 130 years old. During the 2010 "Tall Ship Celebration: Bay City" and the 2013 "Tall Ship Celebration: Bay City," some past members of the Coast Guard that worked at Saginaw River Rear Range Lighthouse over the years it was a Coast Guard Station were at the tours of the lighthouse, and they will be there again during the 2016 Tall Ship Celebration: Bay City." The 1915 Defoe 30 foot long cruising yacht will be on view. This vessel was donated to the SRMHS after being owned for 99 years by one family that lived on the east coast of the United States. Saginaw River Rear Range Lighthouse and Defoe boat T-shirts will be for sale. Also, Saginaw River Rear Range Lighthouse blueprints and pictures, etc. will be available for purchase. Cold bottled water will be available for $1.00 a bottle. The Saginaw River Marine Historical Society is the proud owner of the 1913 Defoe 18 foot long motor launch, oldest known built by Defoe Boat and Motor Works that was located at the foot of Water Street in Bay City, and it can be seen at the planetarium. Plus a display of wooden schooner barges built in Bay City in the late 1800s to early 1900s. These were Bay City's true tall ships! SRMHS at Studio 23/The Arts Center (Located on Bay City's East side, in downtown Bay City. Address: 901 N. Water St., Bay City. 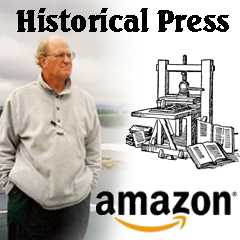 Phone: 989-894-2323) (No admission charge): On exhibit will be multiple paintings depicting a progressive history of turn of the century transition of wood to steel shipbuilding at the Wheeler Ship Building Company that was located on Bay City's West side, opposite side of Saginaw River from the Defoe Shipbuilding Company. The Saginaw River Marine Historical Society, of Bay City, MI, was founded in 1990, and is a 501(c)(3) non-profit organization, is preserving local maritime history. We have members from Bay City, Saginaw, Midland and beyond! The Saginaw River Rear Range Lighthouse was built in 1876 and is located near the west side of the Saginaw River in Bangor Township of Bay County, Michigan, about 3/4 mile south of the mouth of the Saginaw River and Saginaw Bay. It was decommissioned as a lighthouse in the 1960s but continued to serve as a Coast Guard Station until December 1980 when the Coast Guard moved across the Saginaw River into a new building (U.S. Coast Guard Station Saginaw River) in Hampton Township.